Self-ServiceWith Textbroker-Self-Service, you choose the quality level, price and author for your content. Managed-ServiceThe start-to-finish solution for outsourcing all your website content. Starting at $2,500 Budget. Textbroker Clients+53,000 Companies over the world place their trust in Textbroker. PaymentGood work pays off: The better you write, the more you can earn. Make money as a Textbroker author. Create your free account now! Whether for a wedding ceremony, anniversary or during an election, there are countless occasions when people need to give a speech. 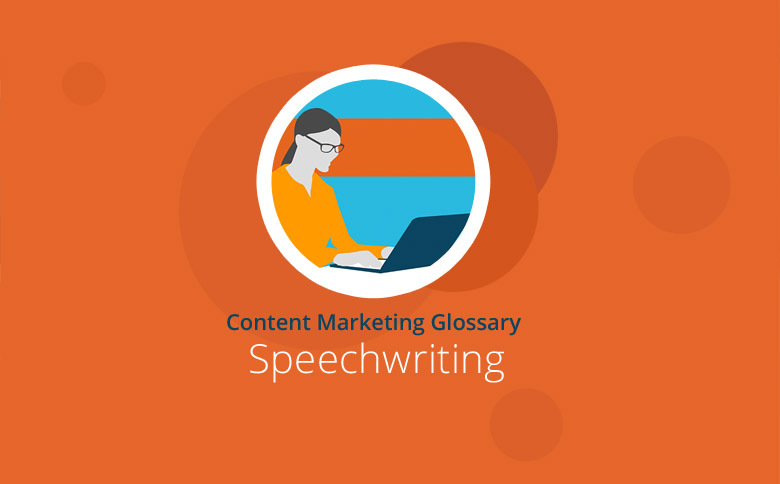 The basis for any speech is well-written content. The content should be well-planned and entertaining, convincing the audience to listen. Civil Rights leader Martin Luther King Jr. and US President Barack Obama have managed to win over millions of people with their memorable speeches. Their concepts “Yes we can!” and “I have a dream” have become recognized worldwide and have changed present day culture. The written presentation of a speech is crucial so that what the speaker says resonates with the audience. A good speech is tailored to the audience with a powerful beginning and ending that captivates the crowd. Any speechwriter should consider the following: What is the occasion of the speech? Who is the target audience and what knowledge do they have? What is the speaker looking to achieve? And what are the main arguments? First, start with greeting the audience. Next, use a quote or a question to win the attention of the audience. It is important to fill the speech with concrete statements that are backed by facts, numbers or statistics. Describe specific examples so that the audience can grasp the concept and relate to the speech. Use short sentences that everyone in the audience can understand. To make the speech interesting, describe pictures, give examples and offer quotes. Use simple language and avoid foreign words. If they cannot be avoided, explain them. Write like you speak. Use humor to get people’s attention. Rhetorical questions and figurative speech (metaphors) also make a speech come alive. The conclusion of the speech should be carefully chosen and emphasize the real goal of the speech. Leave the audience with a call to action so they can think about the speech later. Finally, always read the speech aloud to make sure that the written text is understood as spoken word. A persuasive speech must be carefully prepared and is based on a well-written manuscript. It is important to make the objectives of the speech clear and always keep the target audience and the occasion in mind. and use Textbroker for your Content Marketing. Textbroker offers an extended level of service with the Managed Service option. Managed Service gives you additional support and a personal account manager when you want us to manage your projects for you. Find out more here. Do you need up-to-date content? Then manage your project through Textbroker’s Self-Service. You choose the quality level, price, and author for your content. Thousands of authors from around the globe earn money with Textbroker, the leading provider of unique, custom content. Become a Textbroker author now and access thousands of projects to choose from.